Our 1501, 1502, 2001, and 2002 plastic clad aluminium consists is made up of aluminium tape coated on both sides with adherent ethylene copolymer. This has a low chemical resistance and excellent adhesion to the aluminium substrate with characteristics of low density polyethylene. It bonds to low, linear low, medium and high density polyethylene and has high conductivity and fabrication characteristics of an electrical grade. 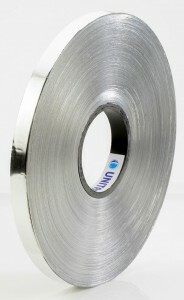 This coated aluminium meets and exceeds the requirments of the Chinese standard TD/T723.3-94 and ASTM B736, Type 1 Class 2.